Following a vendor’s best practices in any environment can be difficult. Simply trying to figure out what the best practices are can in itself be challenging. This often requires filtering through a mountain of documentation and other resources provided by a specific vendor and then extrapolating the best practices from that particular documentation. This could literally take hours, days, weeks, or even more. 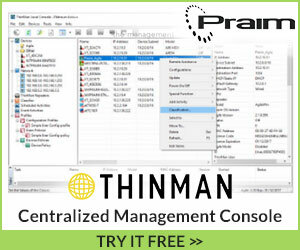 VMware vSphere environments are no different. 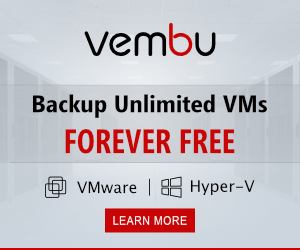 VMware vSphere is a monstrous product in terms of version documentation, best practices, and other documentation related to vSphere. 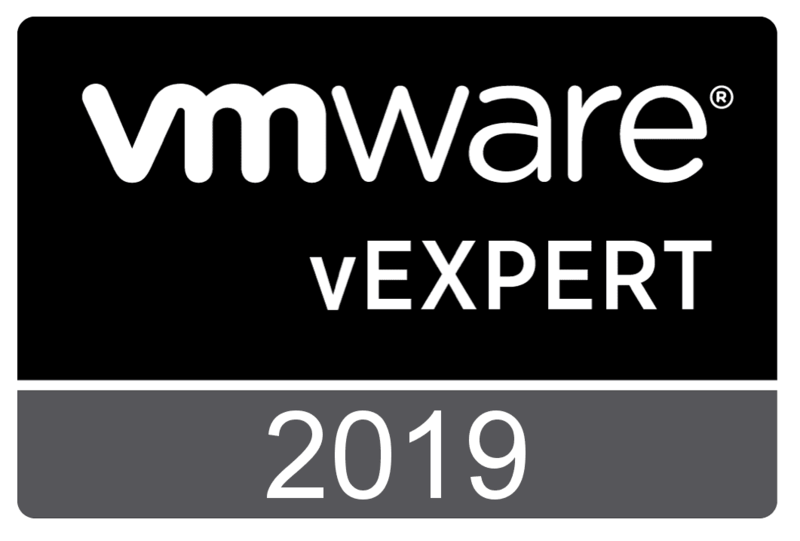 Then, when you bolt on the various VMware ancillary solutions such as vSAN, NSX and others, the list of documentation and best practices advisories gets even longer. As we have covered in many blog posts, Runecast Analyzer has your back as a vSphere administrators when it comes to ensuring your VMware vSphere environment and integrating products are in line with the most up-to-date copy of documentation and recommended best practices available from VMware. Runecast has further extended its capabilities with the release of a new beta version of its Runecast Analyzer that now scans and makes recommendations for VMware Horizon for EUC environments. Let’s take a look at how to scan VMware Horizon for Issues or Errors using Runecast Analyzer Beta to take a closer look at this new release from Runecast for quickly seeing Horizon best practices and configuration issues. After completing the survey, you will be sent the link to download the new Beta appliance and key for testing. The new Beta appliance is a fairly modest footprint in your VMware vSphere environment needing only 2 cores, 4 GB RAM and 30 GB of available storage space. You will provision this appliance separately to the production appliance you may have running. The normal OVA appliance method of deployment is used with the Beta appliance as well. Runecast has certainly chosen a great next feature to integrate with the Runecast Analyzer, as the rumblings from many in the enterprise environment is this is finally the year of VDI when the technology and business use cases are starting to overlap and come together for many organizations. Let’s take a quick look via the screenshots that are provided by Runecast of adding a VMware Horizon environment to the Runecast Analyzer appliance to scan for issues. After getting the appliance up and running, the first thing that needs to be done as is the same with the other integrations, we need to add the connection to VMware Horizon via the connection server. Navigate to the settings dashboard once you have logged into the Runecast Analyzer appliance web interface. Then click the Connections tab. You will see the Horizon connection settings area where you can Add Horizon connection to the Runecast appliance. 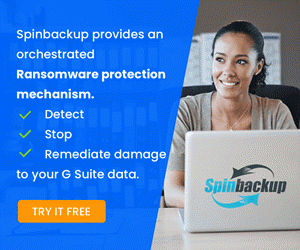 You will be prompted for all the normal information such as an IP or FQDN and credentials for making the connection. Under the Horizon connection settings you will want to add the associated vCenter connection for Horizon as this is needed for the correlation between the Horizon objects and vSphere objects. After you scan VMware Horizon for Issues or Errors using Runecast Analyzer Beta, you will see any issues displayed in the All Issues View among others. 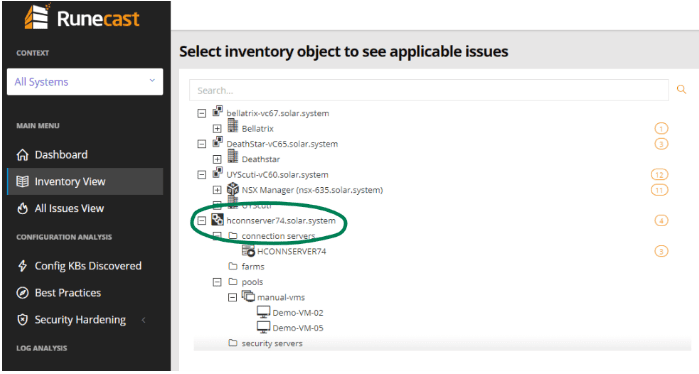 Another view of the VMware Horizon scan allows viewing issues in the Inventory object view that allows simply expanding the nodes to view the issues. 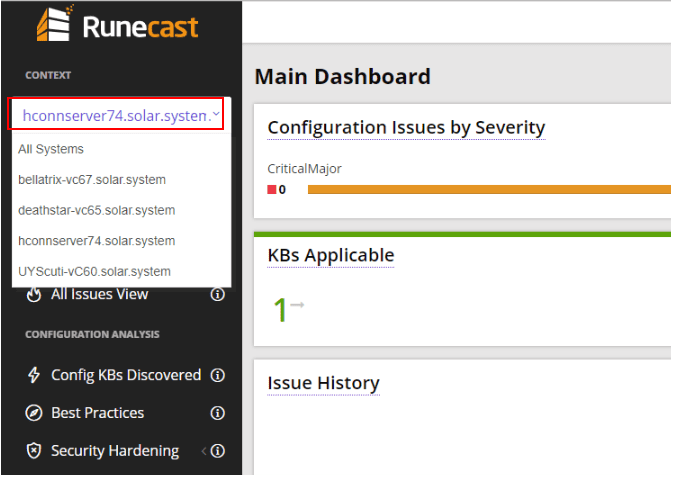 Under the Main Dashboard you will see the configuration Issues by Severity and KBs Applicable for quick review. Another great integration has been made here by Runecast and will no doubt be very well received by customers running VDI environments or who are looking to deploy VDI environments in their organization. This could well be defined as the “year of VDI” and has already been tagged as such by many. Runecast is certainly providing the tools to scan VMware Horizon for Issues or Errors using Runecast Analyzer Beta. 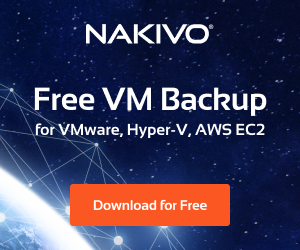 Be sure to sign up for the beta program if you have a Horizon environment or a lab environment that you can test and try the new beta release. Again, Runecast is eager and willing to listen to their customers and the valuable feedback they give on current and upcoming releases. By keeping VMware vSphere and integrated solutions in line with best practices, customers are ensuring they are proactive with troubleshooting, support, security, compliance, and many other extremely important objectives in maintaining and managing their infrastructure. 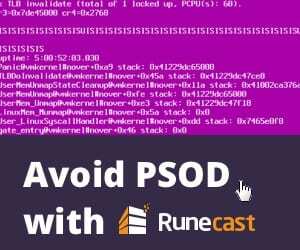 Check out Runecast if you have not heard of them already and are looking for an automated solution for scanning and maintaining a VMware vSphere environment in line with VMware recommended best practices.